Home Bible Reflection Shame on you . . . I have previously written about how truth is the antidote for shame. In that post, there is some discussion about a shame based culture that exists within some churches. Shame is antithetical to the Gospel and should be rooted out of the church culture whenever it is discovered. That being said, I have become increasingly aware of how I have been negatively affected by shame. This has been a process of discovering how deeply ingrained and how insidious shame can be. Recent awareness came in response to a few events that could not be considered moral failings, but produced shame in me. The more silly of the events that caused shame happened on Saturday morning. I was up later than usual on Friday night and somehow slept through my alarm on Saturday. As a result, I was late for the Men’s Bible Study. Of course, I got some good natured teasing about being late. later in the day I realized that being late tainted all of my interactions during and after the study. I felt obligated to explain why I was up late and how I must have turned down the volume on my alarm, etc. 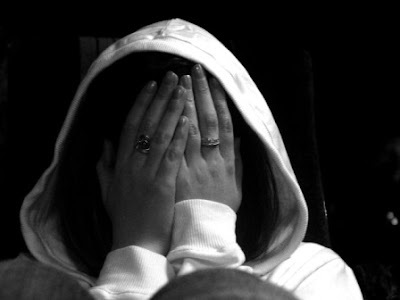 Feelings of letting people down led to feelings of shame. Shame lead to defensiveness. Why should I feel shame at being late? There is no good answer to this because shame should not have played any role whatsoever. Perhaps it was a feeling that I set a bad example by being late. Perhaps it was just shame at failing at something (being on time). Perhaps it was because I felt that I had let my brothers down. Whatever the cause, it inhibited my ability to interact with my brothers. It caused me to hold back in some interactions and to be defensive in others. Call it shame, call it condemnation, whatever you call it, it should not have any effect on my self image or how I interact with others (Tweet This). This is where the Gospel does its work. Jesus came to Zacchaeus’ house before he cleaned up his act. Jesus came to the woman at the well while she was still in an extramarital relationship. The Gospel dispels the illusion that we should clean ourselves up to come to Jesus. Furthermore the Gospel dispels the illusion that we even have the ability to clean ourselves up. A proper understanding of our standing before God apart from Christ should make us realize that we are all equal at the foot of the cross. This realization will displace shame wherever it is found. Like spiritual chemotherapy, the Gospel goes on a seek-and-destroy mission against shame.